All KINGS POINT CONDO CAPRI homes currently listed for sale in Delray Beach as of 04/21/2019 are shown below. You can change the search criteria at any time by pressing the 'Change Search' button below. 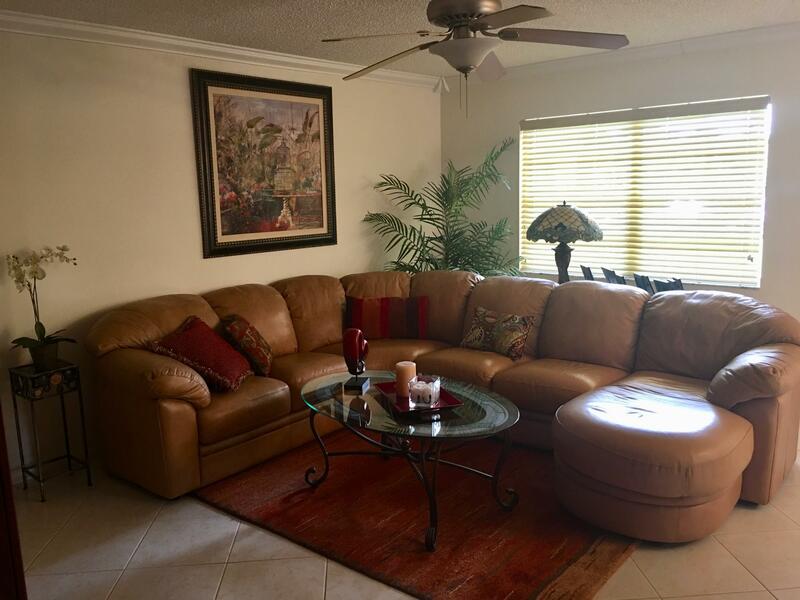 "IMMACULATE 2 BEDROOM 2 BATH UNIT ON THE FIRST FLOOR. UNIT FACES THE GARDEN SIDE WITH ENCLOSED PORCH W/CUSTOM BLINDS. FULL SIZE WASHER/DRYER. FULLY TILED, UPDATE BATHROOMS, TRAY CEILING IN KITCHEN WITH LIGHT, 4 FANS, UPDATED APPLIANCES, CROWN MOLDING THROUGH OUT UNIT. ONE ASSIGNED PARKING SPACE, MOVE IN READY. THIS IS A 55+ GATED RESORT STYLE COMMUNITY OFFERS AMAZING AMENITIES AS THEATER, 2 GOLF COURSES, SWIMMING POOLS INDOOR/OUTDOOR, BILLARDS, CLUBS, CARDS, AND 2 ON SITE REST"